I am a member of the #CollectiveBias ® Social Fabric® Community. This shop has been compensated as part of a social shopper amplification for Collective Bias and its advertiser #WhatsGrillin with Tyson. One thing I love about warmer weather is the chance to have people over to relax and grill out on our back deck. 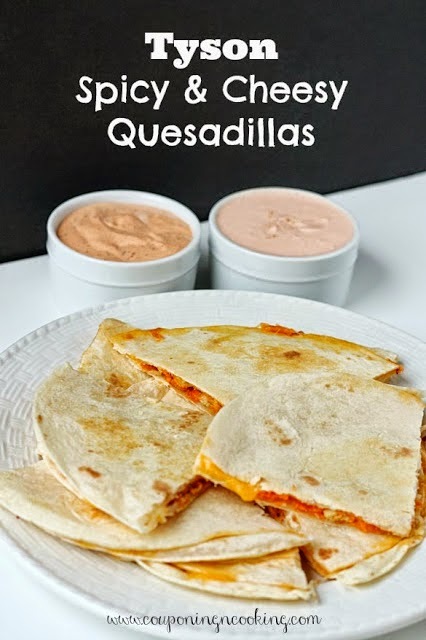 And even though grilling can be a whole let less hassle than other ways of preparing party food, I always feel bad for my husband, Justin, when he has to spend tons of time at the grill while the rest of us enjoy ourselves. 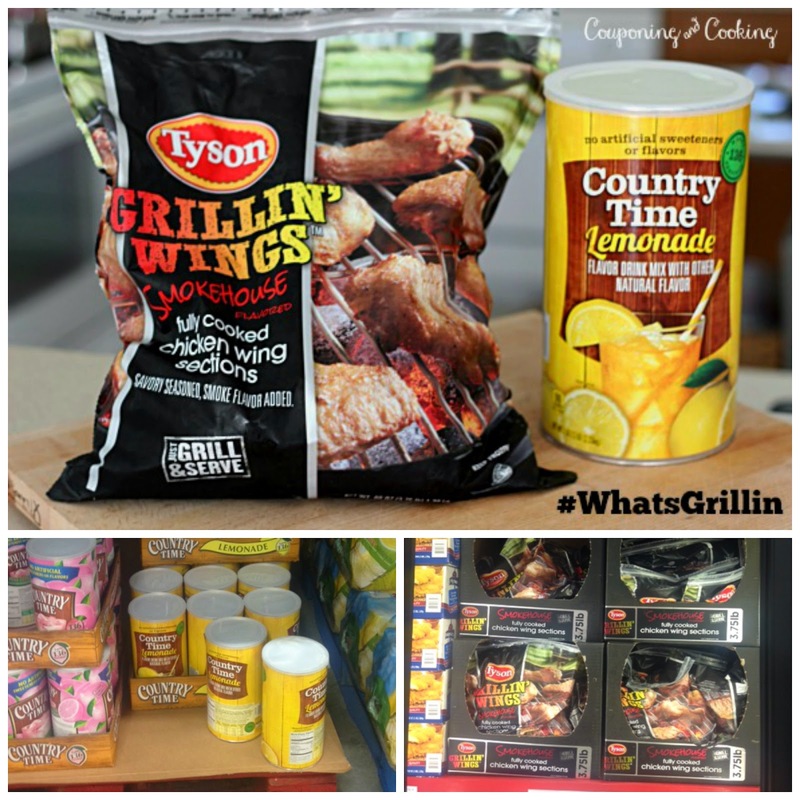 So when I heard about Tyson's Grillin Wings, I couldn't wait for us to try out some easy to make dinners and BBQ recipes for our friends this summer. 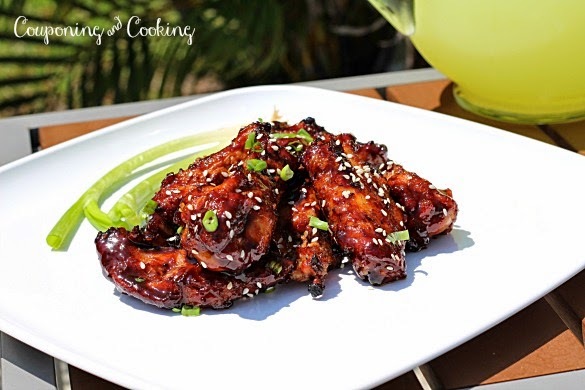 These Sweet & Spicy Asian BBQ Wings are the perfect backyard BBQ party food. People can easily eat them while socializing or having a drink. 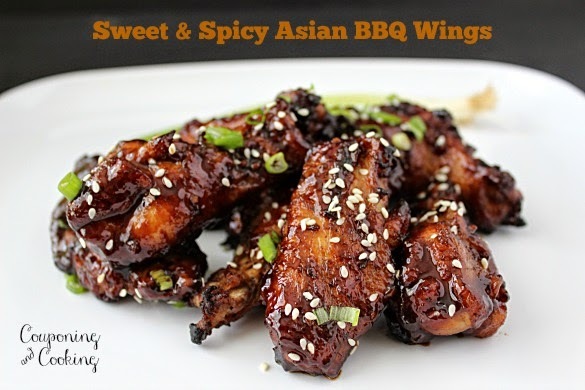 You can whip up some easy sides like a Mandarin Orange Salad or an Asian Slaw ahead of time and in less than 20 minutes on the grill these wings will be ready to be tossed in the sweet & spicy sauce and served to your guests. A meal like this allows Justin and I to serve a delicious meal to our friends without the hassle of marinating or spending excessive amounts of time standing over the grill. The wings are found exclusively at Sam's Club right now and while I was there grabbing some last week I also grabbed a huge container of Country Time Lemonade mix too, the perfect drink for summer BBQ's. The Smokehouse BBQ flavor that the wings come preseasoned with is the perfect compliment to the tangy and sweet Asian sauce. By garnishing with sesame seeds and green onions you can give a restaurant quality look to the dish without a ton of extra time and effort. And best of all? 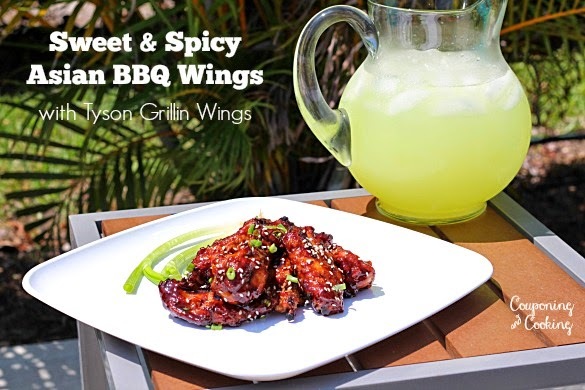 These wings will minimize your time in the kitchen or at the grill so you can get back to enjoying your own party. 1.) Mix together the Hoisin sauce, brown sugar, Teriyaki sauce, garlic and ginger in a bowl and warm on the stove top until the brown sugar has dissolved . 3.) Grill wings as directed for 15 minutes. 4.) Take wings take them off the grill and place them in the bowl of sauce and toss till coated. 5.) 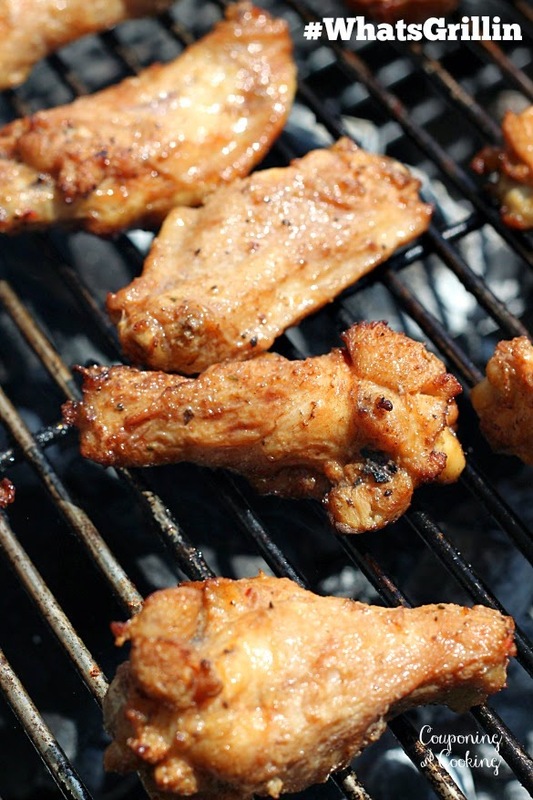 Return wings to the grill for another 4-5 minutes. 6.) 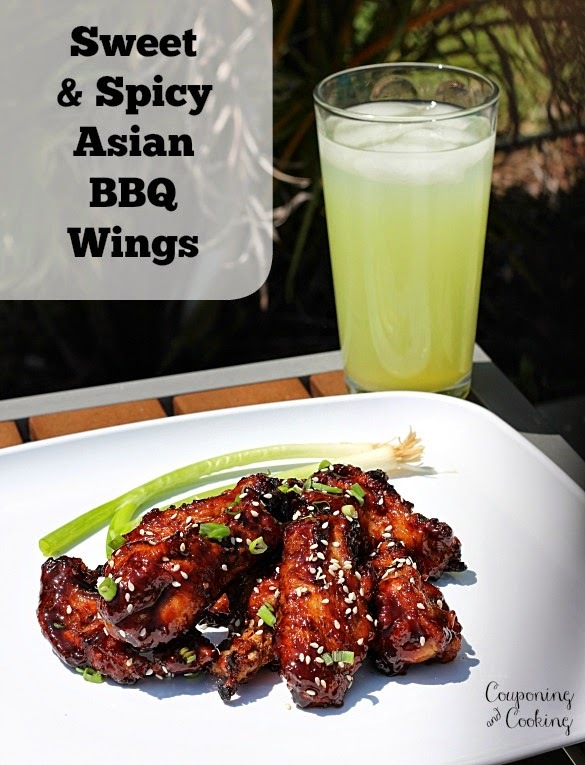 Serve finished wings on a large platter and garnish with Sesame seeds and diced green onions. And if you purchase one bag of participating Grillin’ Wings at Sam’s Club between 5/1-6/1 you will receive a $5 Sam's Club giftcard! and you will receive receipt validation via text or email with code to utilize on tysonwings.com to receive $5 Sam’s Club gift card and automatically be entered for a chance to win a new grill from Sam’s Club. 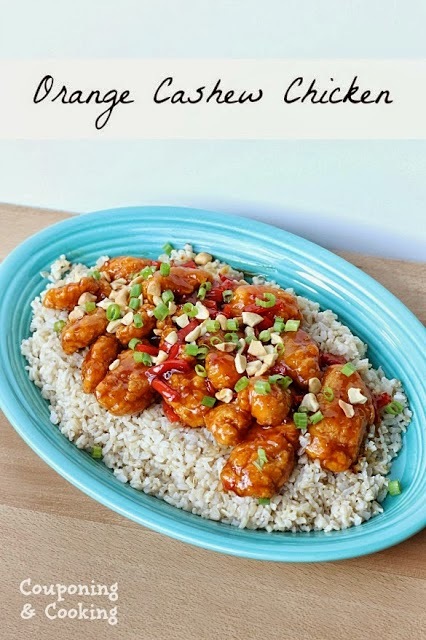 Looking for other recipe ideas using Tyson Chicken?